A public housing tower in Singapore. Modern, clean, owned by tenants. Affordable housing is one of the foremost issues facing New York City. Over the years as the population in need of a safe, clean and affordable home rose, the housing stock simply did not keep up. 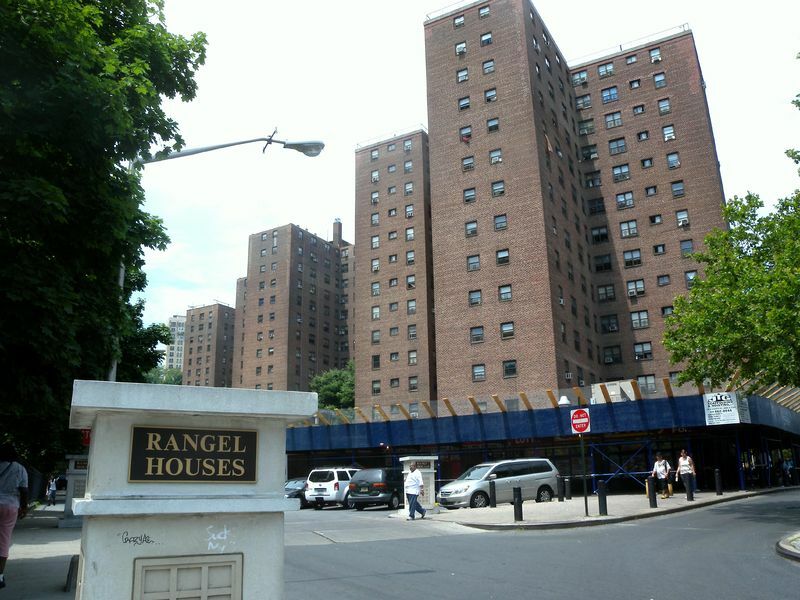 The New York City Housing Authority (NYCHA), North America’s largest public housing organisation, has an impressive array of developments, 328 to be precise, but they are aged, dilapidated, sometimes even dangerous. What’s more, despite the large stock of housing, it isn’t enough and there hasn’t been a large development constructed in years. 39% of NYCHA’s buildings are at least 50 years old (NYCHA Fact Sheet, 2015). They are often surrounded by omnipresent scaffolding along the walkways to protect pedestrians from the trash that residents often throw out the windows. Crime is rife, no doubt fostered by the dark, quiet open spaces surrounding many developments instead of lively, active streets that would make Jane Jacobs proud. Yet despite the sorry state of NYCHA-owned developments, I applied for a public housing apartment last year. You must think I’m crazy, but to be specific, I applied for a new development in Long Island City, Queens being built by a private developer, not NYCHA. You may ask, why would there be affordable units in a private developer’s building, in a location where a two-bedroom apartment goes for upwards of $5,000 per month? New York City has been offering generous tax breaks (perhaps too generous) to private developers of residential buildings if they agree to earmark a certain percentage of the apartment units as ‘affordable’. Usually the affordable units have to make up around 20% of the building to qualify for the tax credit. Great idea, right? Private developers naturally do the bare minimum to qualify for these tax breaks. They never offer more than what is necessary. For example, the ‘Poor Door‘ is a common practice exercised by private developers in New York. In this setup the ‘dirty poor’ who qualify for the affordable units have a separate entrance to their part of the building, meaning they wouldn’t have to rub shoulders with the super-rich who can afford the units with the gorgeous views. They are also often barred from using the gym and pool. Despite this new-age segregation by income level, I decided last year to apply to the NYC Housing Lottery. This city government-cultivated list shows hopeful apartment renters all of the private developments in the city that will have affordable units. Estimated rents and rudimentary floorplans are available, but beyond that, not much else. You send off your application, which essentially consists of your self-reported income, household size and your current address. Then you wait. How long do you wait? In my case, you wait a little over one year and I’m one of the lucky ones. Indeed, being single and making slightly above the median income for qualification, I was surprised – usually larger households making less money are given priority, as they should be. I was informed via email that I had been selected to apply to an affordable unit at one of the new luxury towers going up on the Long Island City waterfront. Who told me this much-anticipated news? The developer’s real estate agent. At first I thought it was a joke. The email was written in the typical fashion one might find in a phishing email, i.e. Hurry before this offer is no longer available!!! Send ALL your documents NOW within 48 hours so we can get you into your BEAUTIFUL NEW HOME!!! I didn’t respond. Not because they were asking for the past four years of income tax filings, half a year of paystubs, three years of W2 forms and my left thumb, but because I was highly skeptical that this was real, as any good New Yorker would be. But alas, a week later a letter (you know, the paper kind with a stamp) arrived with similar details, but written in a more professional manner. My reaction after I realised that this was legitimate was measured. Ok, great, I won the lottery, but I still feel out of the loop. Which building did I win it for? What kind of unit? Studio? One bedroom? How much would the rent be. Would the lease be for one year or two? What about floor plans? But seriously, how much for rent? Here are a couple of simple solutions to make the lottery process more transparent. After applying for a development, instead of waiting endlessly, there should be regular updates on where your application stands. If you are not chosen for any developments, you should be told upfront instead of never being told at all. If you are lucky enough to win you should be informed by the city government in a professional manner, not by some private real estate broker who can’t write a simple email. NYCHA should be managing the lottery process from start to finish. They should be there to answer your questions and provide legitimacy to the lottery. Lastly more information should be made available to the prospective tenant. Why should someone have to collect all of that sensitive income and tax documentation and schedule an in-person interview with the real estate agent at the other end of the city before knowing such basics as the rent, unit type, exact location and floor plan options? It is sad and inexcusable in the first place that Mayor De Blasio only plans to add 80,000 affordable units over the next ten years. It is worse that NYCHA can’t even build more units completely within the public’s control. Instead we resort to these public-private partnerships that offer great monetary incentive to the private developer, but slim prospects to needy tenants, class segregation and a dearth of helpful information. Instead of hefty tax breaks and handing out housing vouchers, why don’t we go back to an era where the city built housing for the people? Owning real estate would provide the city government with capital in the form of housing assets. Segregation based on class would have no place in such buildings. 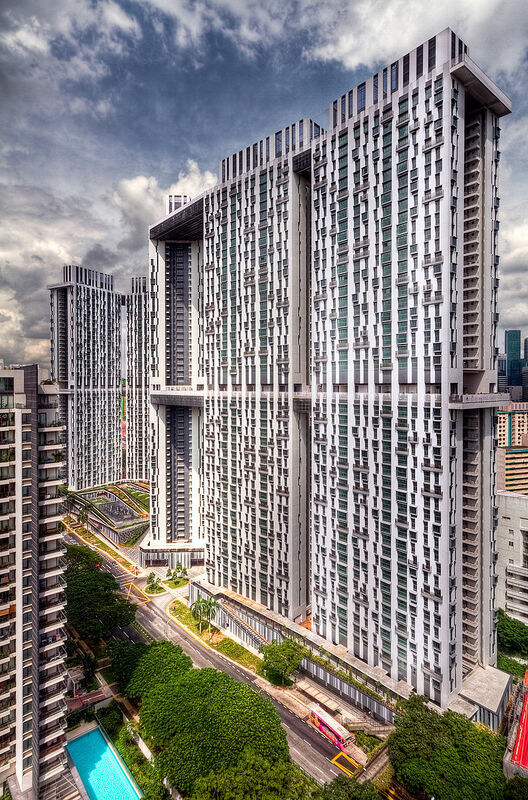 And today, with such shining examples of beautiful modern public housing in places such as Singapore, there would be no need to build ugly, inefficient developments of yesteryear. Let’s stop throwing away money at greedy developers and use the savings from ending the tax breaks towards giving the residents of New York a proper and affordable place to live. Luxury residential towers don’t need the government’s help to be built. The market here is strong enough for them as it is.